I’ve never tried to write a Christmas story. Unless you count the children’s plays I wrote for our church many years ago. Maybe it’s because my memories of Christmas Past aren’t really all that interesting—neither poignant nor humorous. 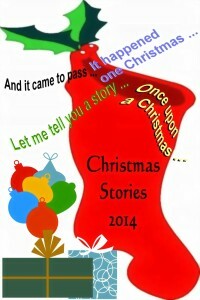 I suppose I could write fictional Christmas stories, but I’ve just never been drawn to do so. Instead I enjoy reading Christmas stories in journals and magazines. Good ones, that is. Like this one in Sunday’s Parade: “The Best Christmas Ever” by Connie Schultz. As I read it I found myself thinking, “That could be ME!” I’m sure many women of my generation had the same response, which is part of what makes this such a great essay—its universal appeal. “Christmas Giving” in Country Magazine (online) reminds us all of the big impact small gifts can make—during the Depression or any time. Christmas Magazine (also online) has lots of famous but also lesser-known Christmas stories. A couple of my favorites are: “A Halfway Decent Thank-You Note” by Tom Panarese. And there are famous (fictional) stories here, like “The Fir Tree” by Hans Christian Anderson, if you’re looking for something to read to your children. And Southern authors Pat Conroy and Rick Bragg both have pieces in the December issue of Southern Living. Yesterday I was in Oxford (Mississippi) with my friend Daphne. We enjoyed lunch at Ajax, shopping on the square, hanging out in Square Books, and ending the day at the upstairs bar at City Grocery where you’ll always find writers or interesting locals. Somewhere during our day I picked up a copy of Desoto Magazine, which is edited by my friend Karen Ott Mayer. Amongst its local and regional treasures was an article about a book illustrated by Wyatt Waters and edited by Judy Tucker and Charline McCord. 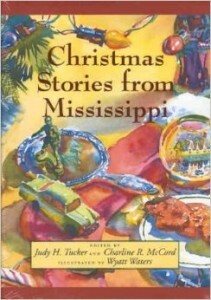 Christmas Stories from Mississippi was published by the University of Mississippi Press in 2001, but somehow I missed this collection of 17 essays and stories by such authors as Eudora Welty, William Faulkner, Willie Morris, Barry Hannah, Ellen Gilchrist, Elizabeth Spencer, Carolyn Haines and others. So maybe I’ll try my hand at writing a Christmas essay or story some day. 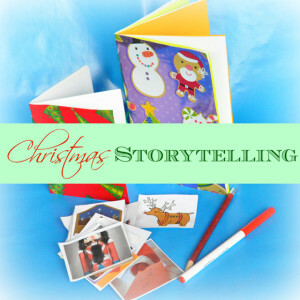 If you’re interested in combining writing with arts and crafts—or if you think your children might be—try these “Christmas Story Starters.” I found them at a creative blog called “Imagination Soup,” through this image on Pinterest. Meanwhile I’m enjoying the Christmas stories that sometimes come inside Christmas cards in the form of family “Christmas letters” and the ones I discover in the season’s flurry of magazines. Don’t let the holidays go by without reading (or writing) a good tale!